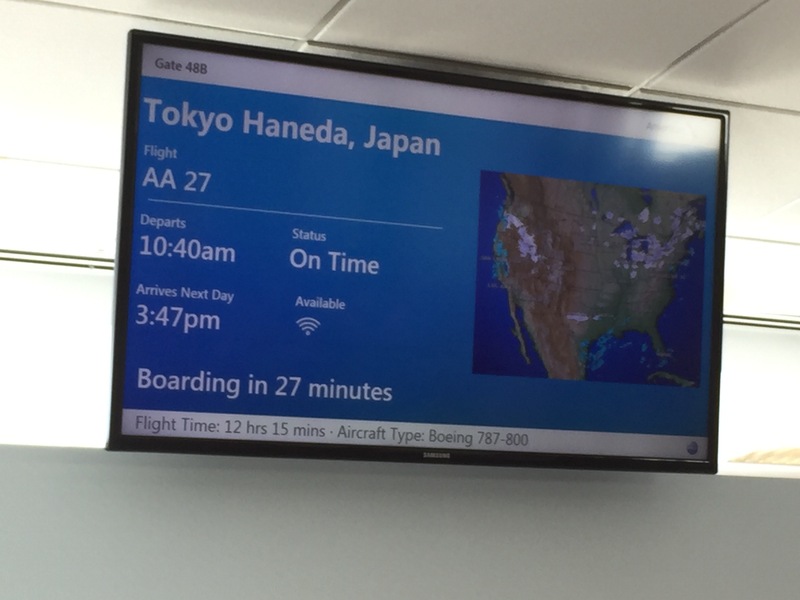 This is a review of American Airlines Los Angeles Tokyo Haneda. 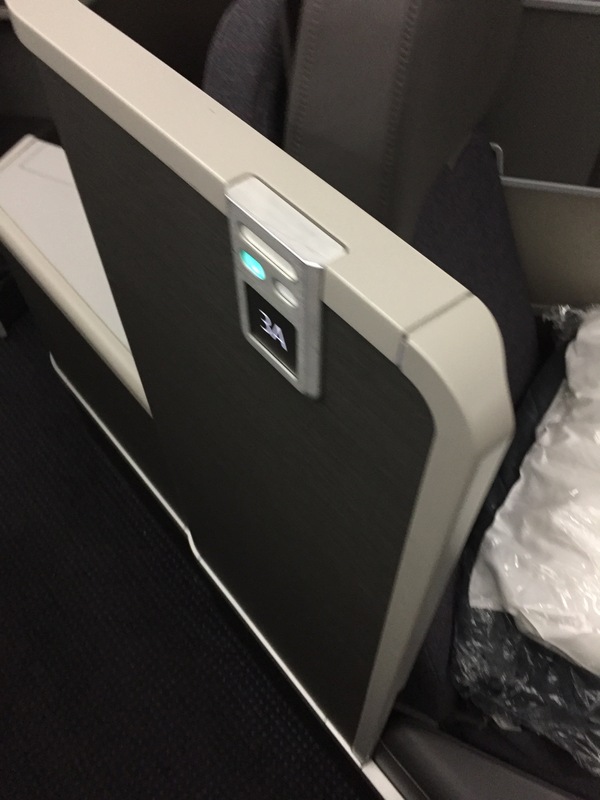 My colleague wrote about his experience on the flight to Tokyo on the 787 flight in Business Class after he redeemed a systemwide upgrade on American Airlines. Agoda, Apple Vacations, Booking.com, Edreams, Expedia, Hard Rock Hotels, Hilton, LivingSocial, Loews Hotels, Momondo, Priceline, Radisson Blu, or TripAdvisor. Note: Elite benefits may be limited when not booking direct. The flight operated out of terminal 4 in the regular American Airlines gate area. Several gate agents were present at the time of boarding. 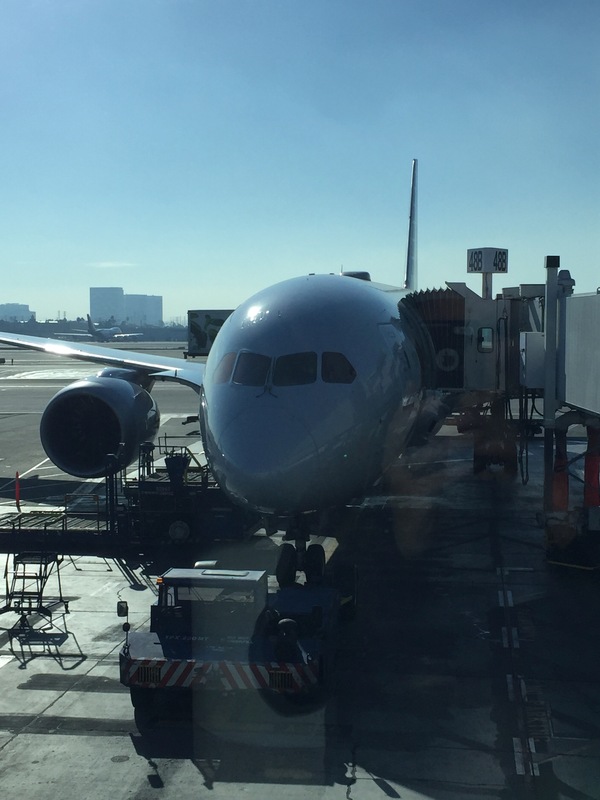 When I approached the agent when boarding began, the agent said I was not checked in and she had to review my passport before issuing a new boarding pass. That was new to me as normally when you enter your passport info in the app that is all that is required when checking in. The gate agent apologized about the delay and she let me go on my way to the plane. The aircraft was a 787-800 which offers large windows with electronic dimmers. There were large video monitors located at each seat in the Business Cabin and smaller ones at every seat in the economy cabin. 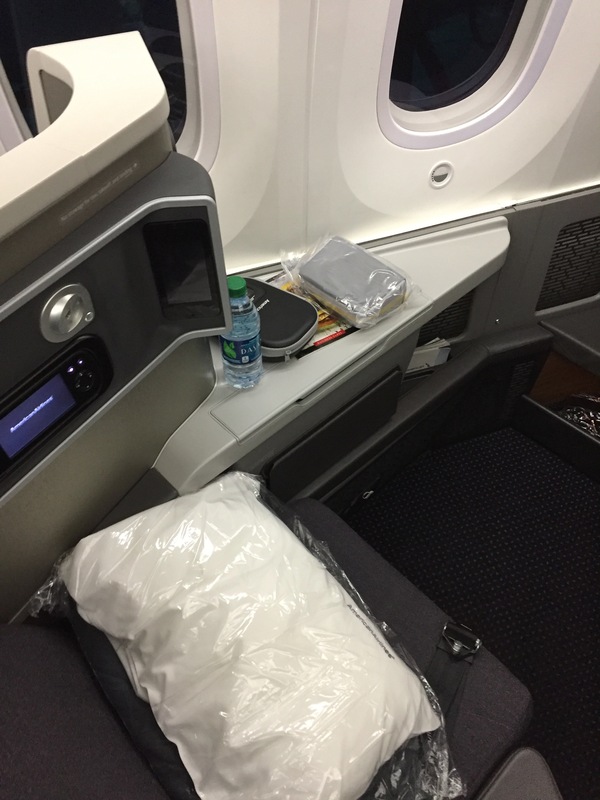 The Business Class seat was forward facing at the window towards the front of the cabin. 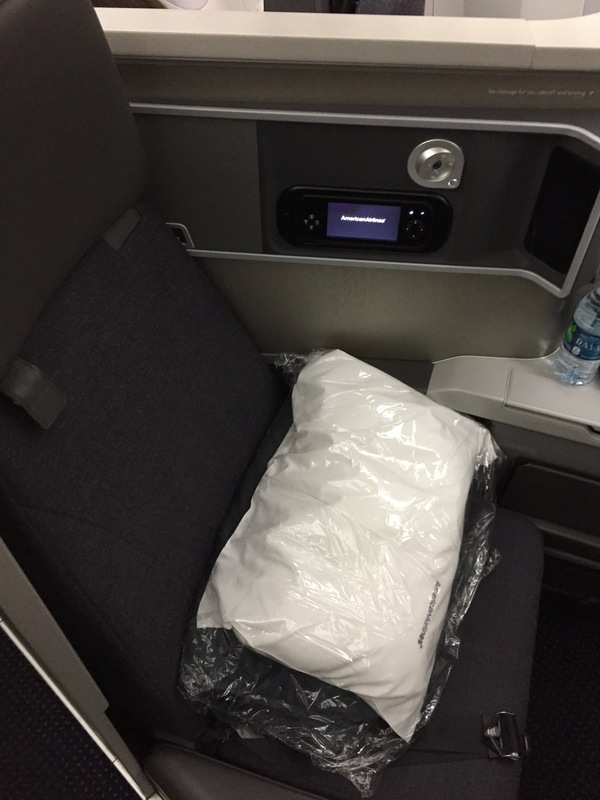 The seat controls operated without issue and the seat could be made into a bed. An amenity kit was provided at the seat that was Cole Haan branded. The amenity kit had toiletries, socks, eye mask, ear plugs and tissues. The case was of good quality. The amenities had a pleasant scent. Bose Headphones branded with the American Airlines logo were included. The headphones had a good sound. The entertainment system had hundreds of options available between movies, television shows and games. The video quality was good. The plane featured WiFi. A flight pass could be purchased for $19. The flight traveled north so there were periods of time when the connectivity did not work. Several flight attendants worked in the business cabin. 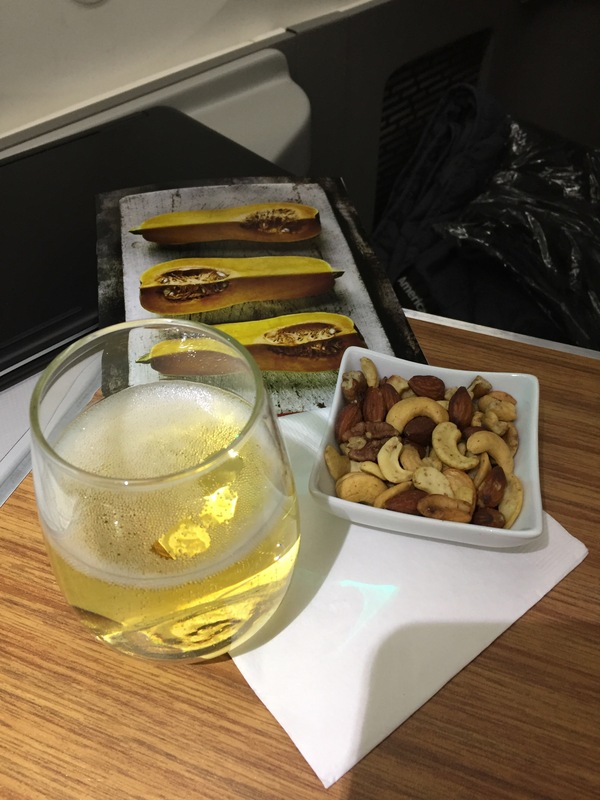 The flight attendants provided efficient service and they were polite. My name was used in the initial greeting as well as when meals were served. 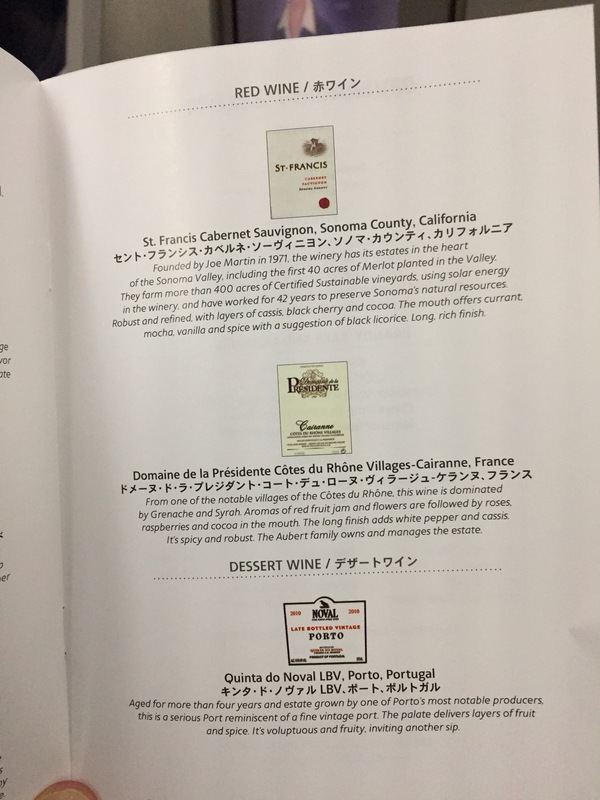 No pre-departure beverage was offered to me even though I saw other passengers with one. The flight attendants circulated the cabin throughout the flight and they greeted passengers that were not awake to offer beverages or snack items. Overall the flight attendants were cordial and efficient but the experience was not that memorable. 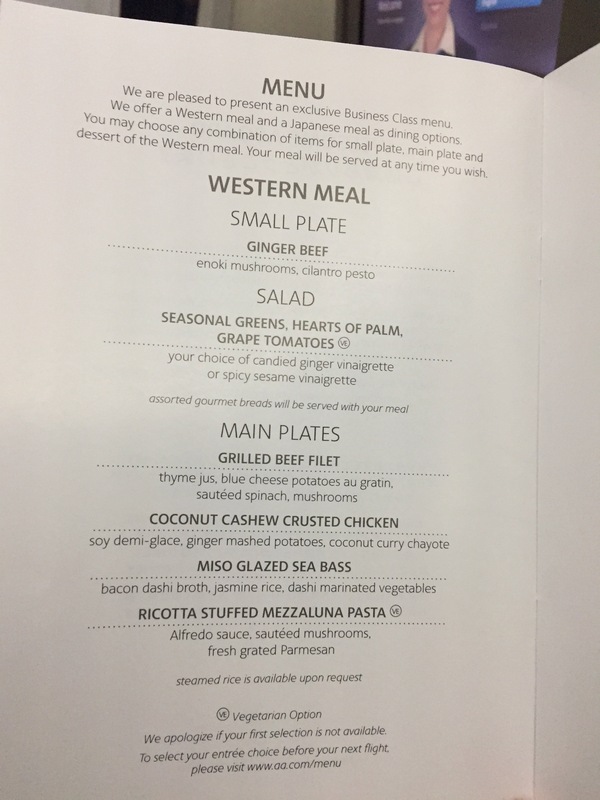 The flight offered a selection between four entrees along with a small plate, salad and dessert. 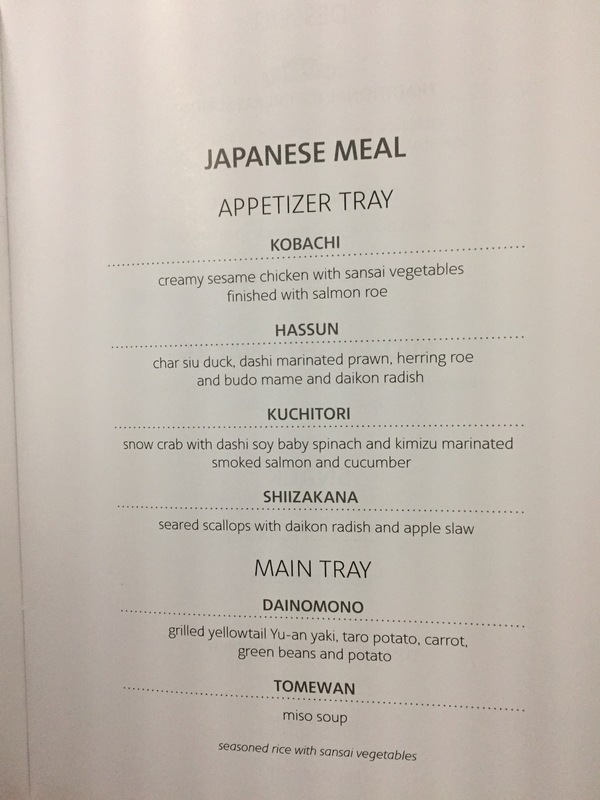 A Japanese complete meal was also offered. The menu indicated that you could pick and choose between the options. The entrée choices were Grilled Beef Filet, Coconut Cashew Chicken, Miso Glazed Sea Bass and Ricotta Stuffed Mezzaluna Pasta. 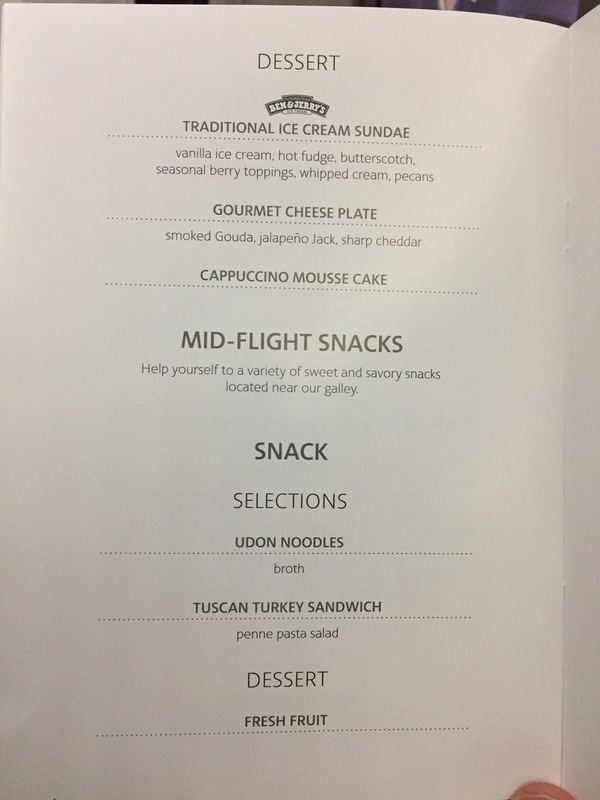 The Mid Flight Snack included a choice between Udon Noodles and a Turkey Sandwich. 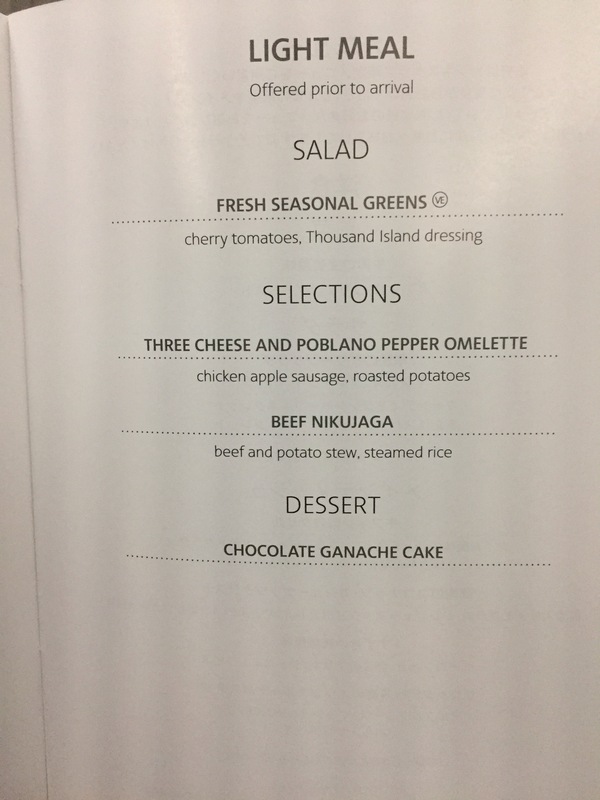 The arrival meal option was a poblano pepper omelet or beef nikujaga. 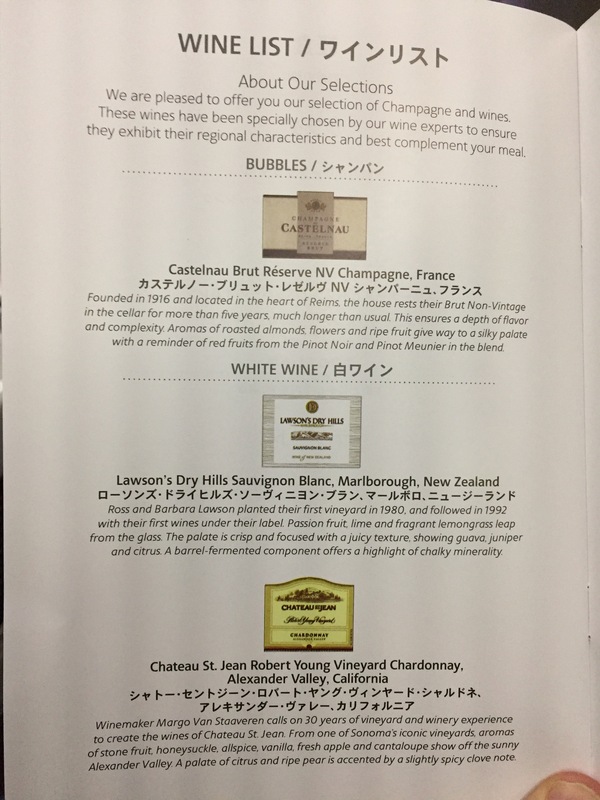 The Wine List offered one Sparkling, two white wines, two red wines and one dessert wine. 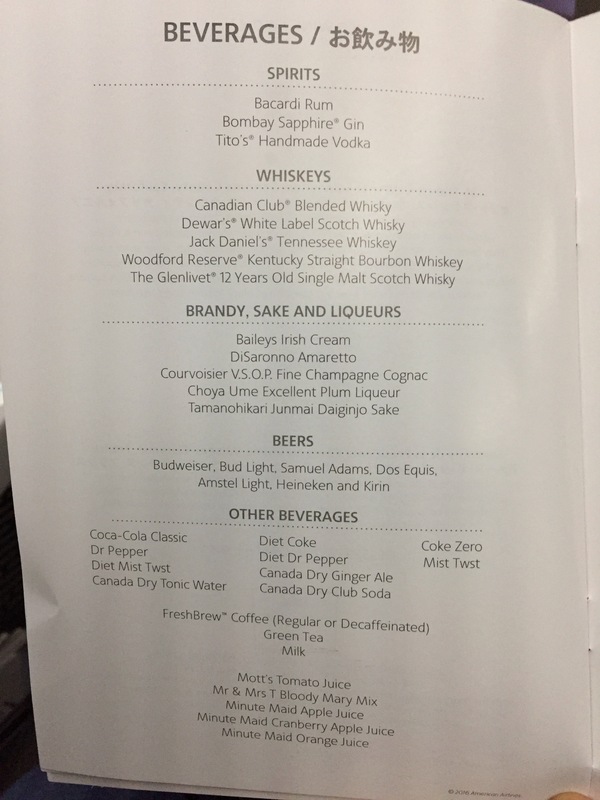 Alcohol, Beer, Soda and Juice options were also offered via the menu. I ordered the Sea Bass for the entrée. 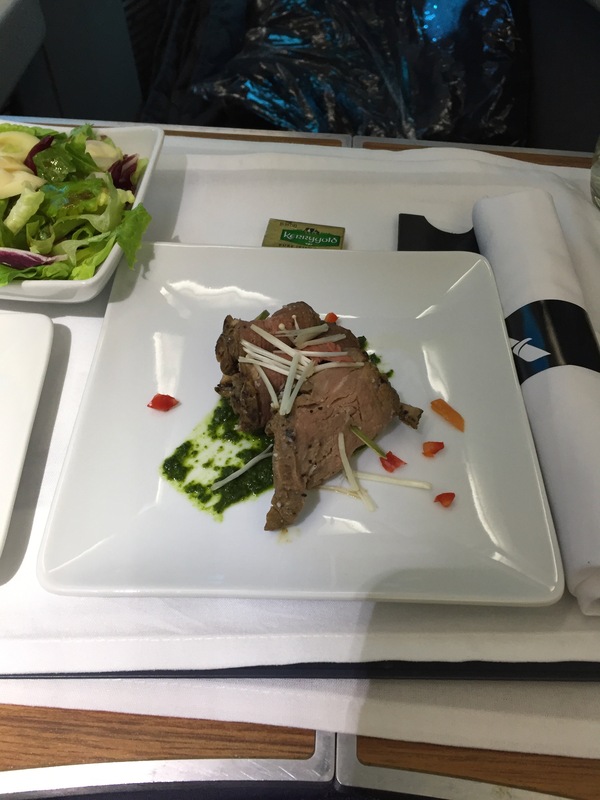 The meal started with Ginger Beef appetizer that was plated with a pesto like sauce. The beef was chilled and it was seasoned well. The salad course was also served on the tray with the appetizer. The salad was topped with a sesame dressing that was tangy. 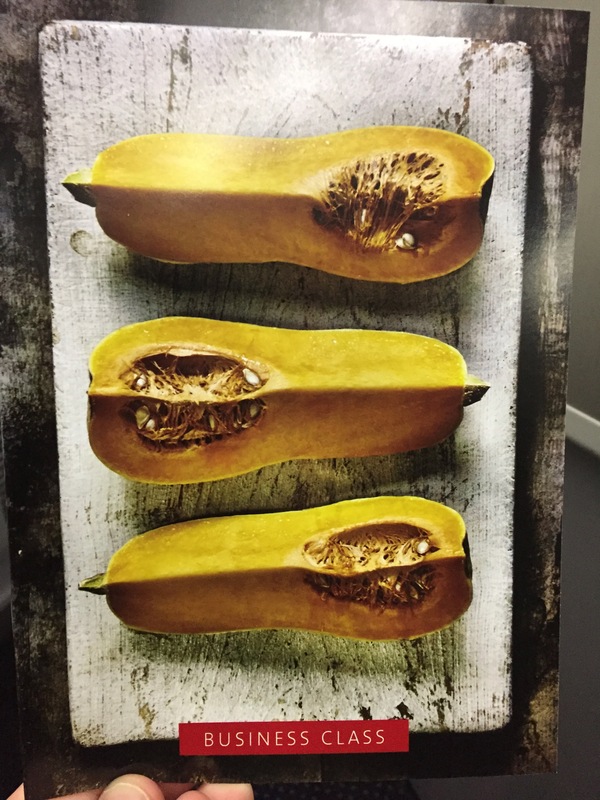 The vegetables tasted fresh. 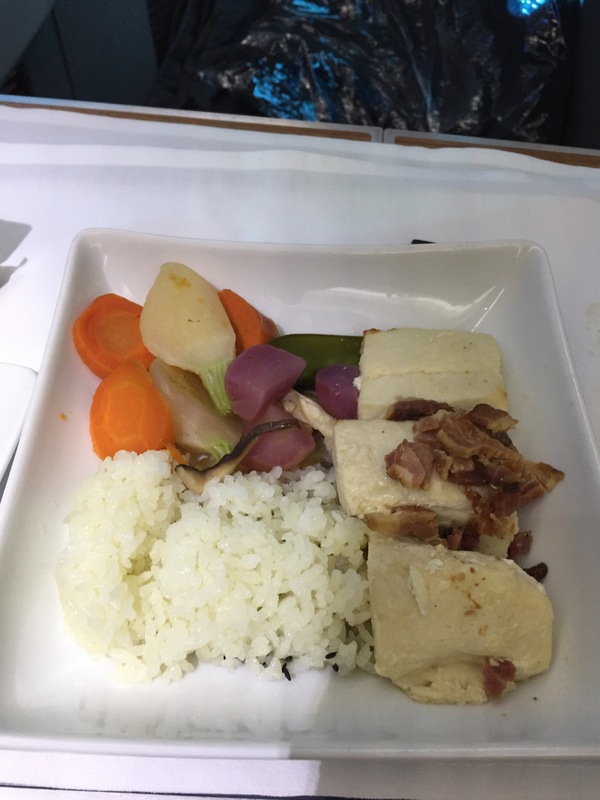 The Sea Bass was served hot along with rice and a few root vegetables. The Sea Bass was very dry and it lacked a good flavor. The vegetables and rice had a good taste. 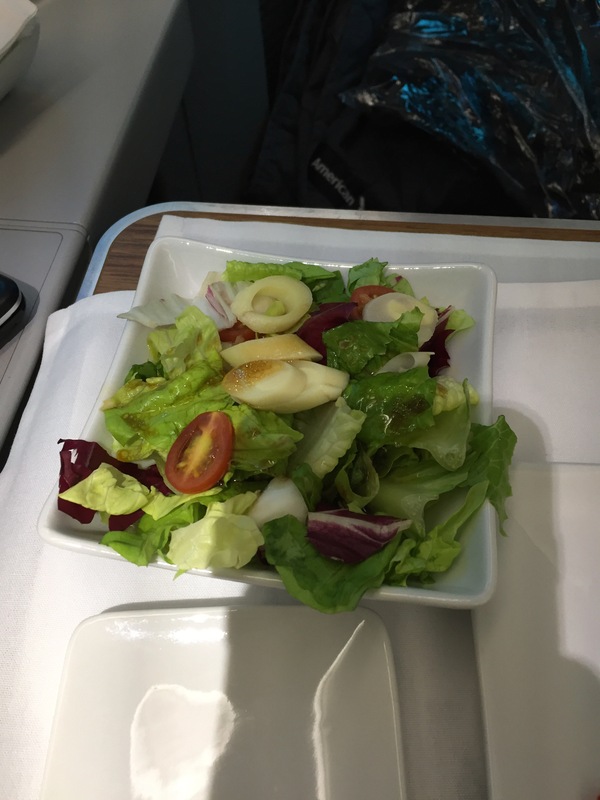 I slept through the Mid Flight Snack and the Arrival Meal. The flight was smooth and uneventful except for one patch of turbulence that was minor and lasted for about 10 minutes. The bed was comfortable and I slept for the majority of the flight. One nice touch was in addition to the regular comforter and blanket an additional small blanket was provided so you could have a liner on the bed which made it more comfortable. The flight went by quickly. The flight attendants were polite and provided efficient service. The service was nothing spectacular though. Parts of the meal were good; however, the main entrée was dry and lacked a good taste. The pre-arrival meal experience was a little better than the lunch service. The seat was comfortable and the entertainment system offered an abundance of options.